Welcome to our website! We are coffee and conversation addicts, so we decided to create something out of what we do best, which is chat. We are a mother-in-law and daughter-in-law duo, who just happen to get along famously! Share in our conversations, which will go down many paths. You will be surprised at where we might go, but it will always be an interesting ride! Coffee and Chitchat and Ahoy, Murder? Abandon ship! But, don’t abandon this episode where Admiral Joyce and Captain Laura discuss two mysterious deaths aboard celebrity yachts. As mentioned in the previous podcast, we chat about the death on William Randolph Hearst’s yacht. We also delve into the mysterious demise of Hollywood icon Natalie Wood and the facts surrounding what may have really happened that fatal night. 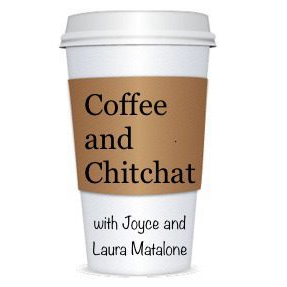 Drop your anchor and settle in for episode 11 of Coffee and Chitchat! Previous postCoffee and Chitchat and Kidnapped! Sit back with a cup of coffee and enjoy the conversations of a mother-in-law, daughter-in-law duo. We are coffee and conversation addicts, so we decided to create something out of what we do best, which is chatting. We are a mother-in-law, daughter-in-law duo, who happen to get along famously! Share in our conversations, which will go down many paths. You will be surprised at where we might go, but it will always be interesting!